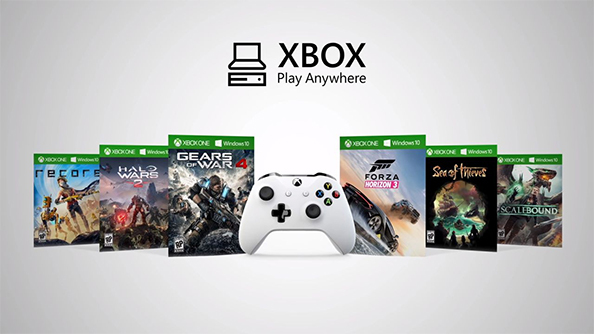 Official Xbox site will specify which games support Play Anywhere. Though support for Xbox Live Anywhere will be added to Windows 10 with the Anniversary Update in August, the service itself will launch on September 13th. The service essentially allows players to purchase a game digitally on Xbox One and receive it for Windows 10 at no extra cost. The ability to share progress, Achievements and much more has also been promised. A Microsoft representative told Polygon that, “The Windows 10 Anniversary Update and the related Xbox update coming this summer enable the Windows Store on Windows 10 and Xbox One to support Xbox Play Anywhere games. Titles which support Xbox Play Anywhere will be marked on Xbox.com to avoid any confusion. What are your thoughts on the initiative? Let us know in the comments below and stay tuned for more information.